Headaches in children are common complaints, occurring in approximately 40 to 75% of the pediatric population. Similarly, obesity (defined as a body mass index or BMI greater than 30) is a growing childhood health concern. 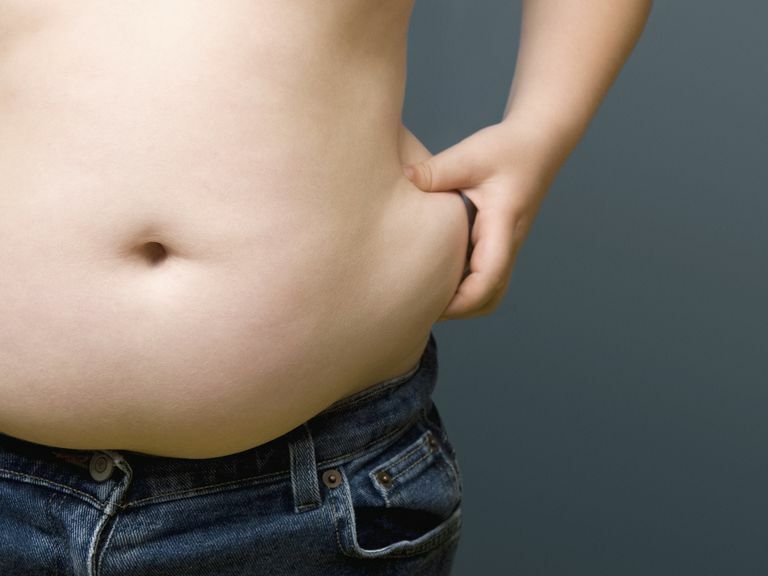 In 2011, more then 40 million children worldwide were obese. As parents, we like to be informed of and involved in the care of our child's health care needs. Understanding the association between your child's weight and her headaches may help improve her quality of life and overall health. Is There a Link Between Headaches and Obesity in Children? Yes. The link between headaches and obesity is well documented in adults. Studies have shown that obese adults are more likely to develop a chronic daily headache and have more frequent and more severe migraines. But what about our children? While there aren't as many studies addressing this issue in the pediatric population, there is similar evidence linking childhood obesity and headaches. One recent study in Headache found a higher rate of obesity in children with primary headaches. Remember, primary headaches are headaches that are not caused by another medical condition. Examples of common primary headaches in children are migraines and tension-type headaches. The study also found that obese children have more frequent and disabling headaches. This is worrisome, as the more frequent and disabling a headache is for a child, the more likely children are to miss school and social activities. Why Does Weight Contribute to Migraines? We do not know the exact answer, but there are likely multiple causes. Physical inactivity, poor nutrition, and other health conditions that result from being obese may all play a role. Another potential cause is the stress that additional weight puts on one's body. Obesity produces a state of chronic, low-grade inflammation. This state of inflammation is similar to what occurs when a person is having a migraine attack. Scientists hypothesize that children, like adults, may be more likely to develop migraines or have more frequent or severe migraines if their bodies are already in a state of inflammation or stress from obesity. If Your Child is Overweight or Obese, Will Weight Loss Help Her Headaches? Potentially, and it may be worth a try considering all the other benefits of maintaining a normal, healthy weight. Below is a study that supports weight loss in children for headache management. A study in Headache examined 900 children between the ages of 3 through 8, from seven different pediatric headache centers. Approximately a third of the children were overweight or obese, and the majority of children suffered from migraine without aura. The children, regardless of their weight, were counseled on nutrition and weight management at their first visit. Information about their headaches, such as the number of headaches per month and the disability resulting from their headache, was also gathered at this first visit. The children's weight, headache frequency, and disability were then re-evaluated at a 3-month and 6-month interval. The results showed that for overweight and obese children, weight loss at the follow-up visits led to a reduction in the number of monthly headaches. Bigal ME, Lipton RB. Obesity is a risk factor for transformed migraine but not chronic tension-type headache. Neurology. 2006;67(2):252-257. Brna PM, Dooley JM. Headaches in the pediatric population. Semin Pediatr Neurol. 2006;13:222-230. Hershey AD, Power SW, Nelson TD, et al; American Headache Society Pediatric Adolescent Section. Obesity in pediatric headache population: A multicenter study. Headache. 2009;49:170-177. Hershey AD, Powers SW, Vockell A. PedMIDAS: Development of a questionnaire to assess disability of migraines in children. Neurology. 2001;57:2034-2039. Ravid S, Shahar E, Schiff A, Gordon S. Obesity in Children With Headaches:Association With Headache Type, Frequency, and Disability. Headache. 2013. Can Chewing Gum Cause A Headache in my Child?